PVC vs. CPVC: What’s the Difference? Both PVC and CPVC are widely used, but many may be wondering how much does that extra ‘C’ change things? We will explain the differences between PVC and CPVC. The first C in CPVC stands for Chlorinated. How much chlorine CPVC has depends on the manufacturer, but it can be as much as a 20% increase. However, the additional chlorine in the pipe itself has no effect on the water moving through it. Temperature resistance is another difference between PVC and CPVC. PVC is safe for residential water applications below 140°F. However, CPVC is safe at temperatures up to 200°F. Temperatures above those limits will result in softening of the pipe and weak joints, leading to leaks and failure. Another difference between PVC and CPVC is the sizing. PVC size goes according to IPS (Iron Pipe Size) standards. While CPVC can be IPS-sized, it is more common in CTS (Copper Tubing Size) standards. Color is another way that PVC and CPVC differ. 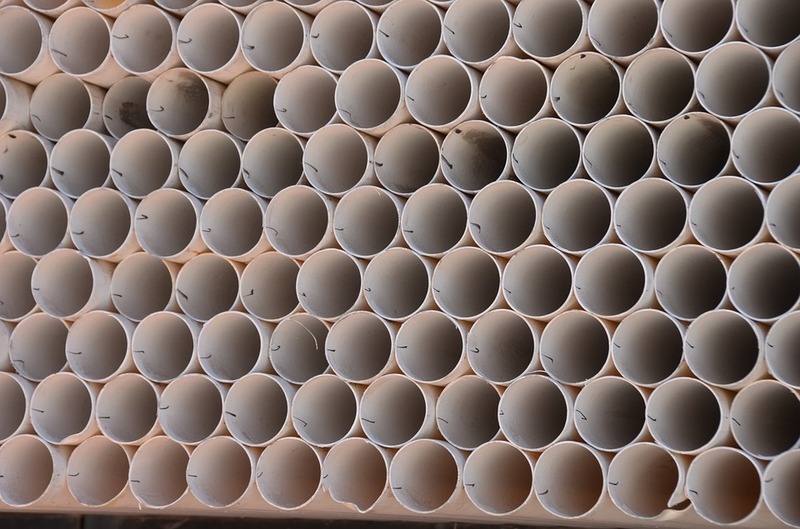 PVC is typically white (schedule 40) or gray (schedule 80), as well as the more rare purple, which indicates reclaimed or recycled water that is unfit for drinking. This color is common for landscaping and irrigation. CPVC is typically either an off-white, yellowish cream color (schedule 40), or light gray (schedule 80). The price is another difference between PVC and CPVC. PVC is typically less expensive than CPVC, but not by much. Both are much less expensive than metal or PEX. A common application for PVC is the service line. This goes between the water main and the home (and is the homeowner’s responsibility). CPVC has approval for underground use, but it is more expensive and doesn’t offer any benefits in this particular situation. PVC is also commonly used in the Drain-Waste-Vent (DWV) system. This carries the wastewater to the sewer, regulates air in the pipes and removes dangerous gases from the home. Additionally, PVC is a popular choice for yard irrigation and sprinkler systems. Flexible PVC is common for pool, spa or hot tub installations as well where rigid piping may not fit or require more joints. Technically, CPVC can do anything PVC can, but its use in the home is typically limited to indoor water distribution (the system of pipes that carry water to fixtures around the house). CPVC is ideal for homes with corrosive water or soil conditions. CPVC is also common in fire sprinkler systems, as it provides heat resistance, low price, durability and ease of installation. It is plastic, so it is relatively un-reactive and will not rust like metal options. There are many differences between PVC and CPVC. Therefore, whether you choose PVC or CPVC will ultimately depend on the application. Contact Bryan Hose & Gasket with the link below for more information!